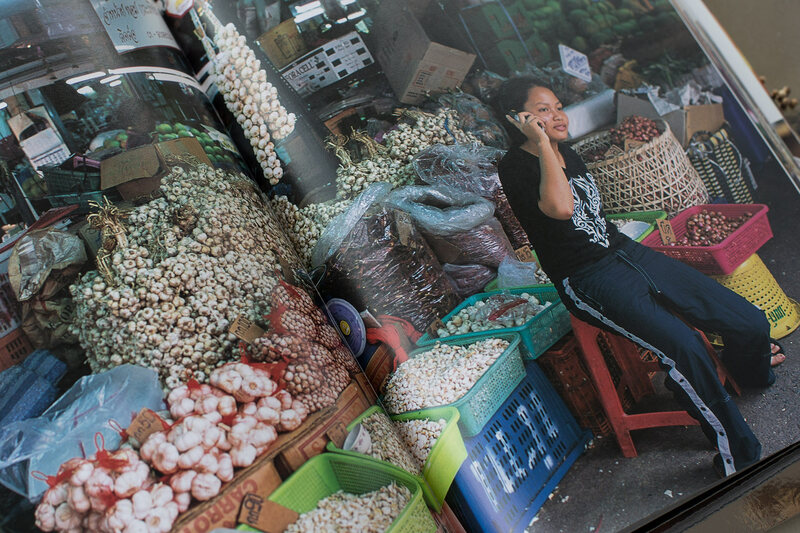 The Food of Thailand: a Journey for Food Lovers is not a recent book. It was first published in English in 2003. I was given it in the French Version in 2008 by Wendell, the year I met him :) It was the very beginning of an amazing culinary journey which never ended. 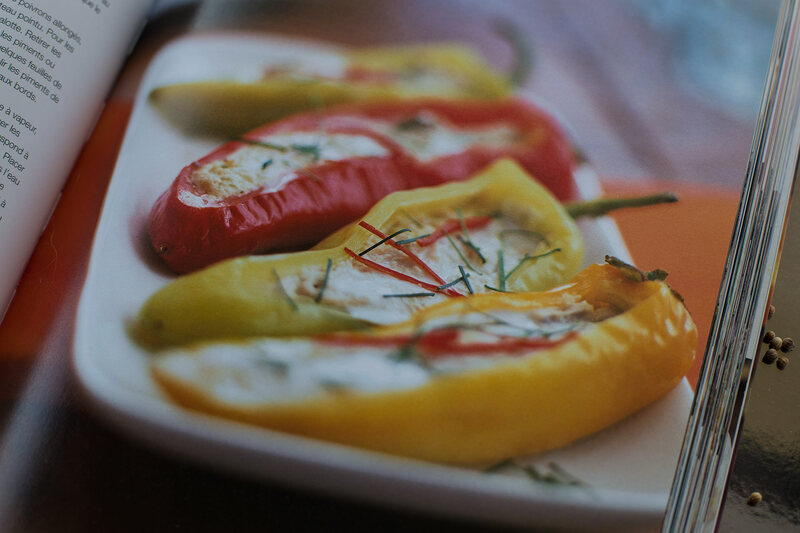 What I really liked in the book is the simple way recipes are written and the absolute authenticity of the ingredients (a lot of international cuisine cook books used to be adapted to the French public and ingredient you could easily find in France, it is changing now). In The Food of Thailand, if a recipe needs a special herb or fruit or veggie, it is this very one that will be indicated in the ingredient list. In Paris it was a bit tricky as Thai food is not as big as in Australia. But in the 13th arrondissement, the giant Asian supermarkets are legion, including Tang Frères, where you can find most things you need. There are also the smaller Belleville supermarkets and grocers where you can find a lot of the ingredients. In Sydney, you will find them anywhere and if you want to have a huuuuge choice and buy the cheap shiny aluminium serving bowls, head to the huge Asian supermarket in Haymarket, in the mall called Market City above Paddy’s market (a lot of markets here ;). There are many of those all around the city if you know where to look. Anyway, about this gorgeous book. First of all it’s big, usually very cheap (you can buy it online HERE ) and full of amazing photos of the dishes and Thailand’s markets, street vendors and cooks. 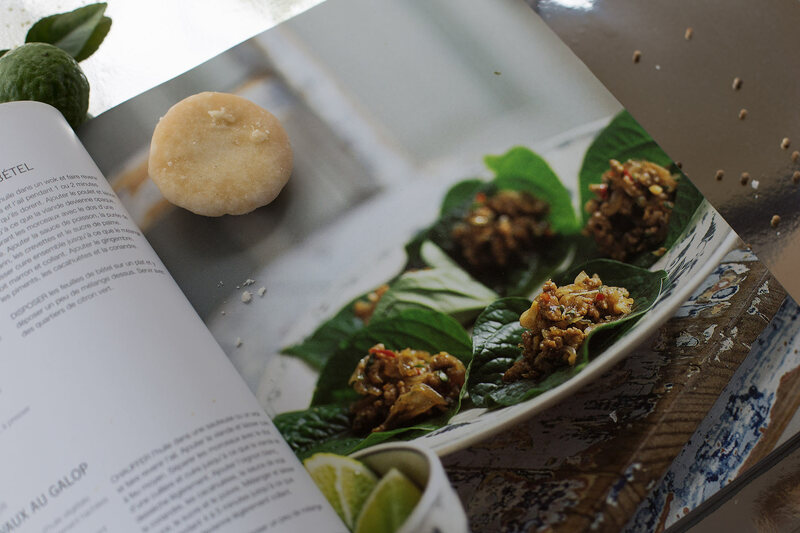 There are so many recipes I have made from that book… My all time favourite might be MIANG KHAM or the Pork in betel leaves. I couldn’t find betel leaves in Paris so I went for fresh cos lettuce or even icebergs. I served it hot on a plate where I arranged my little cradles of lettuce. I also used this very sweet and fragrant minced pork to accompany/on top of a large bowl of Thai rice. I even made it with rice noodles in a wok. The SA-TE KAI or satay chicken is gorgeous! 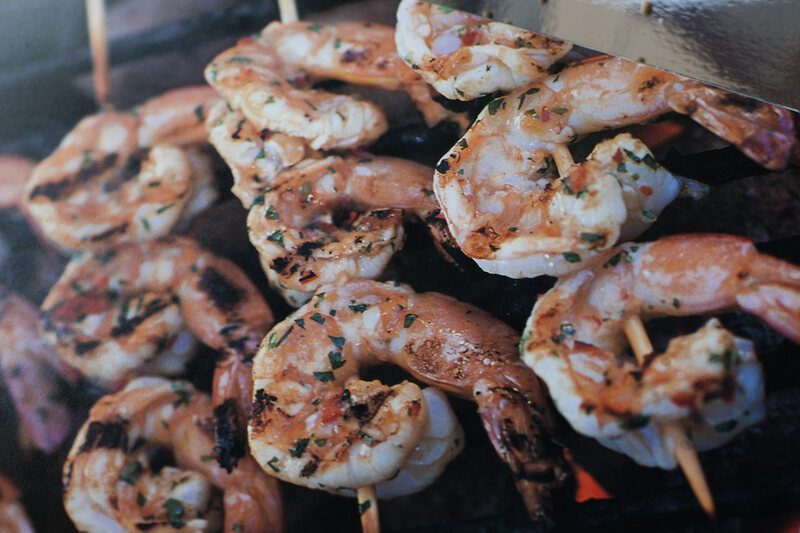 The KUNG PHAT BAI PHAK CHII LAE PHRIK or chilli and coriander (cilantro) prawns are to die for. I have made the pork sausages too. The TOM KHAA GAI version is very balanced (it can be too acidic, too sweet, too think and too creamy) and flavoursome. The Haw MOK THALEH PHRIK YUAK or Steamed stuffed peppers (hot or not) with fish is amazing. And so many more including deliciously authentic and simple curries. 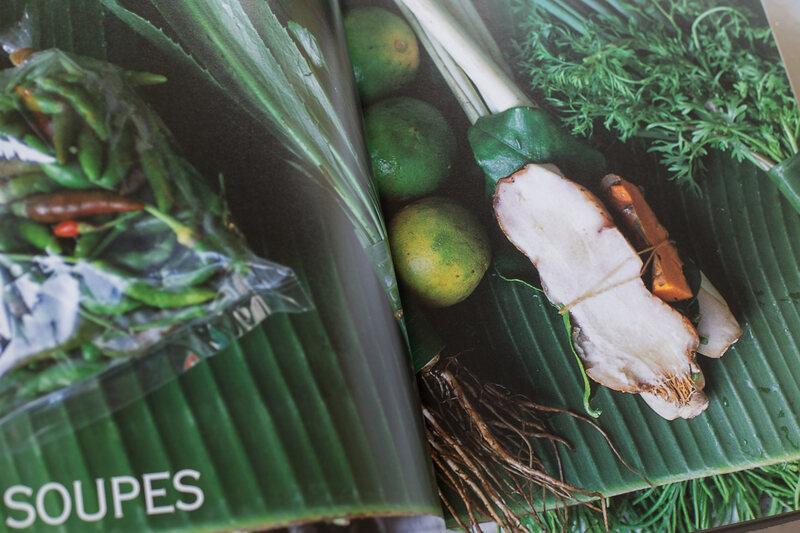 This book pushed us to grow our own Kaffir Lime (combava), Thai basil and lemon grass. 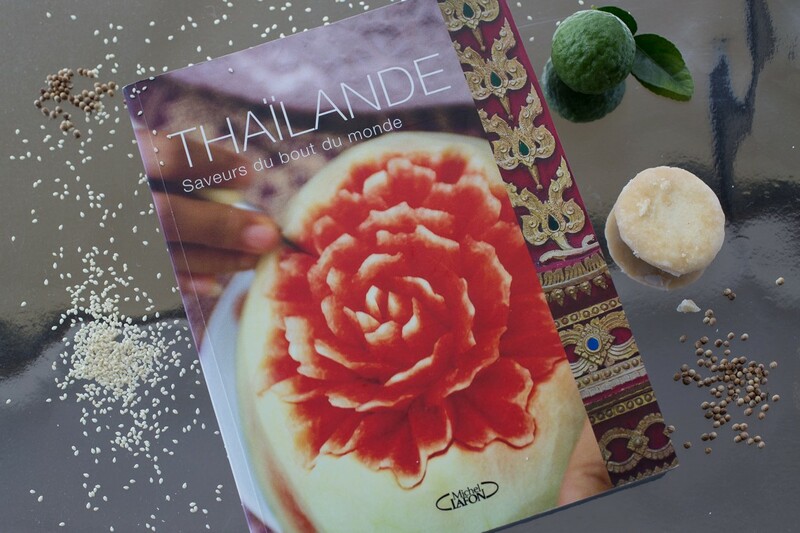 If you haven’t tried authentic Thai recipes before, it is a real bible you will use very often. 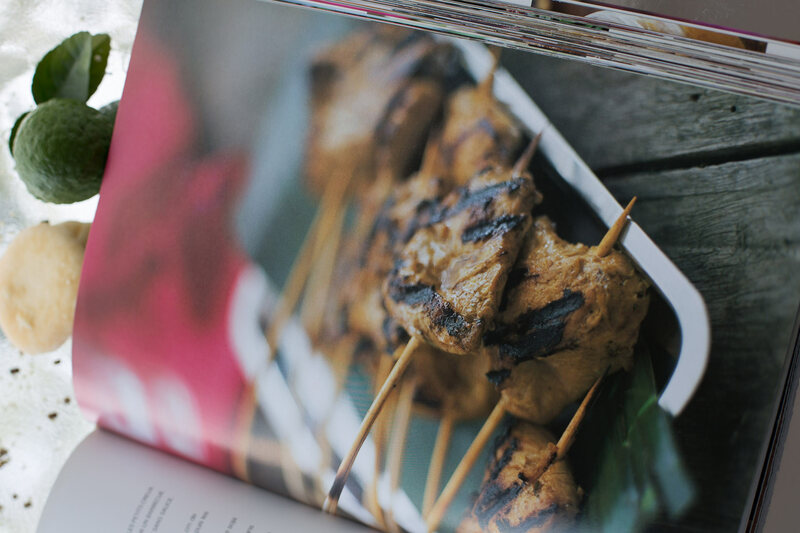 It is also a sort of travel book and I love sitting back and read the recipe while looking at the gorgeous photos. Note: This review is the reflection of my own opinion. 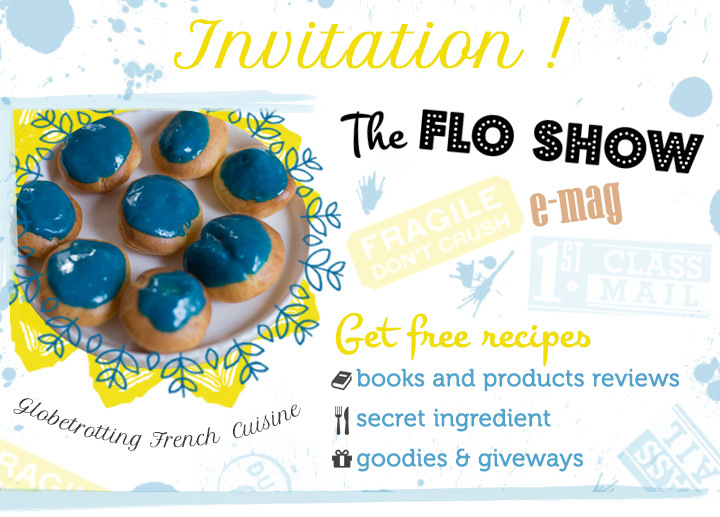 All cookbooks reviews on The Flo Show are based on books which have been tested, extensively used and loved. Maybe one day I will review a book I didn’t like ;) Why not! The links to the books sold on Amazon are affiliated link. This means that if you click on it and buy, it will support The Flo Show. If you ever do so: a big Merci! Voici donc un généreux blog, Parfaitement passionnant .j’ai largement aimé et n’hésiterai jamais à le recommander,c’est pas mal du tout Dillon Zhang !